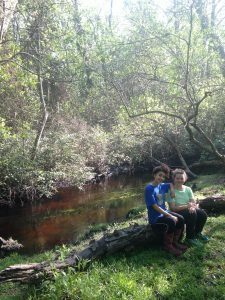 One of my favorite things to do is go on trips with kids. 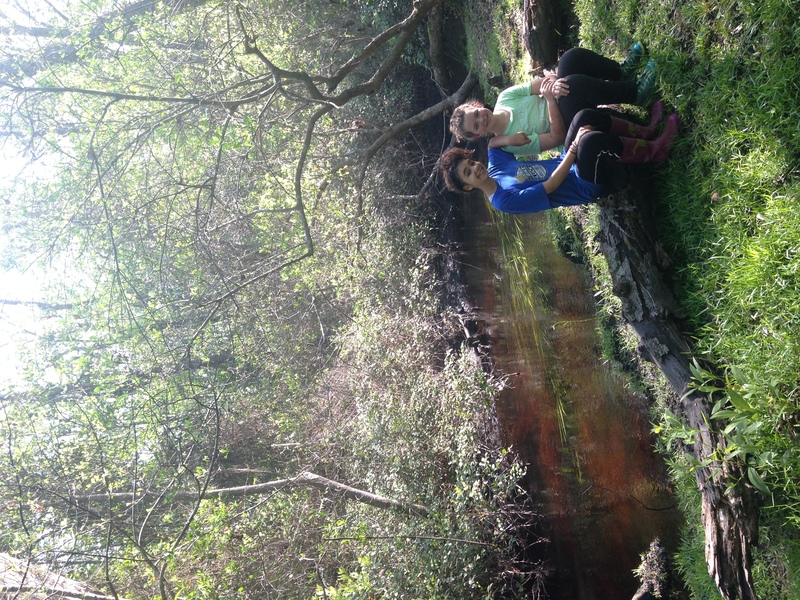 When I taught in public schools, I would relish the days we could go on a field trip. My first year teaching, I organized an overnight trip via bus to Williamsburg, VA with 40 kids! I love the feeling of going out and learning through cool experiences. At Mosaic, trips seem to be a regular weekly occurrence. Students, facilitators & parent volunteers are always out and about in the city. One trip the kids have loved recently is going to Amelie’s French Bakery to write during Writer’s Workshop. There, they get to do what many self-employed adults do – work from a coffee shop. Groups of us also regularly go to the library, Children’s Theater, weekly hikes, bike rides, volunteer at the Recyclerly, work in the community garden, deliver meals for friendship trays, visit farms, and so much more. 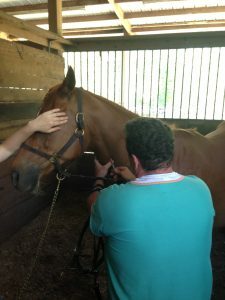 For this post, I want to focus on the most unique trip I’ve gone on yet – to see horses get their teeth cleaned & checked by a horse dentist. One of our students, @alonalearning made a post in our private school Facebook group letting everyone know that she was interested in learning about animals. She asked to tag along for any vet visits they might schedule. One of our parents who owns horses let her know that she had a unique animal care opportunity coming up and we made a plan to visit. The family lives almost 2 hours away from school (yes they commute this far regularly!). 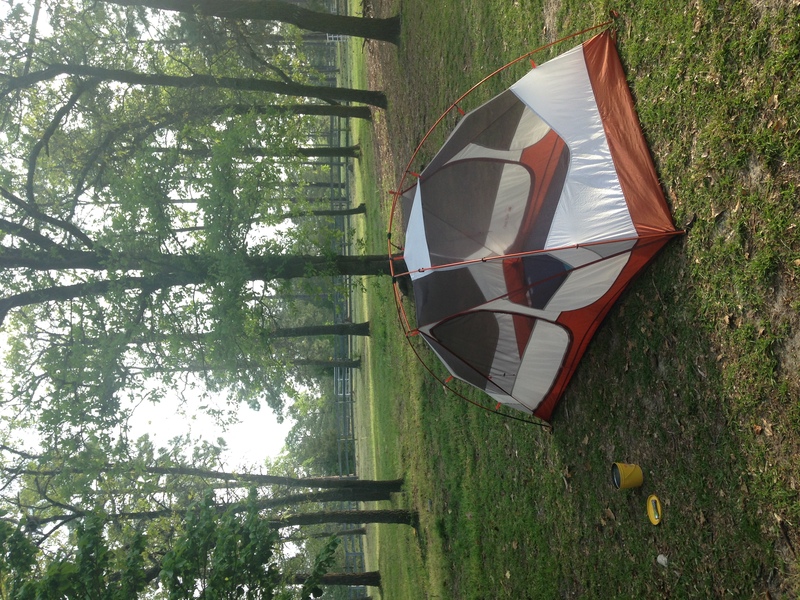 I decided that it made the most sense for us to spend the night there since the farrier was coming at 8am. I did not want to get up at 5 am to get down there on time. 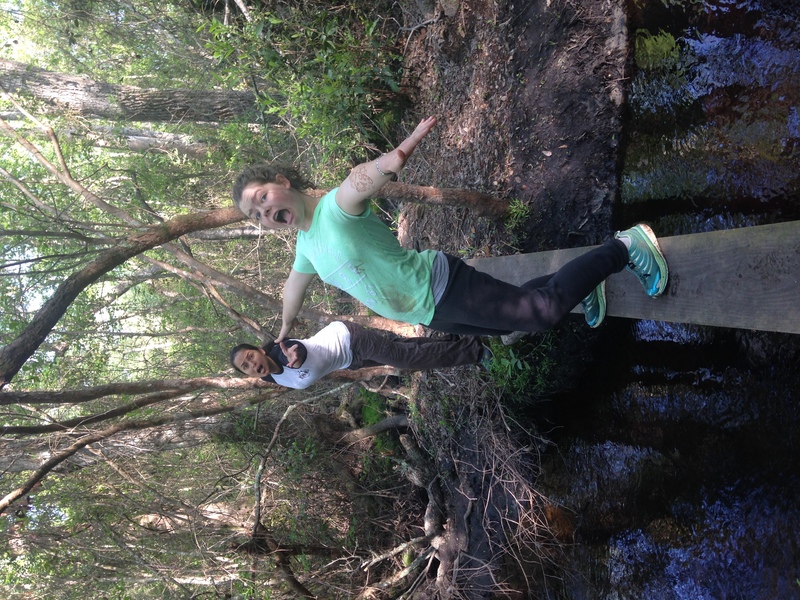 I told the girls who went that the only request I had for this trip was that they blogged about it afterwards. 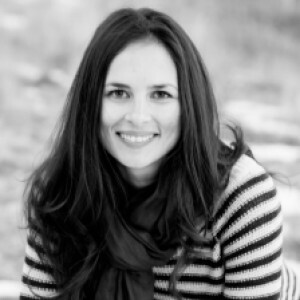 I’m sitting at home typing this post across from @libby who is blogging with me right now! We had so much fun! 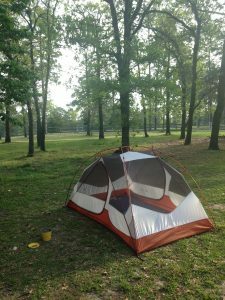 @libby and I spent the night in my tent under the stars. The weather was perfect for this. When we woke up, I made everyone breakfast burritos while we waited for the farrier to come. 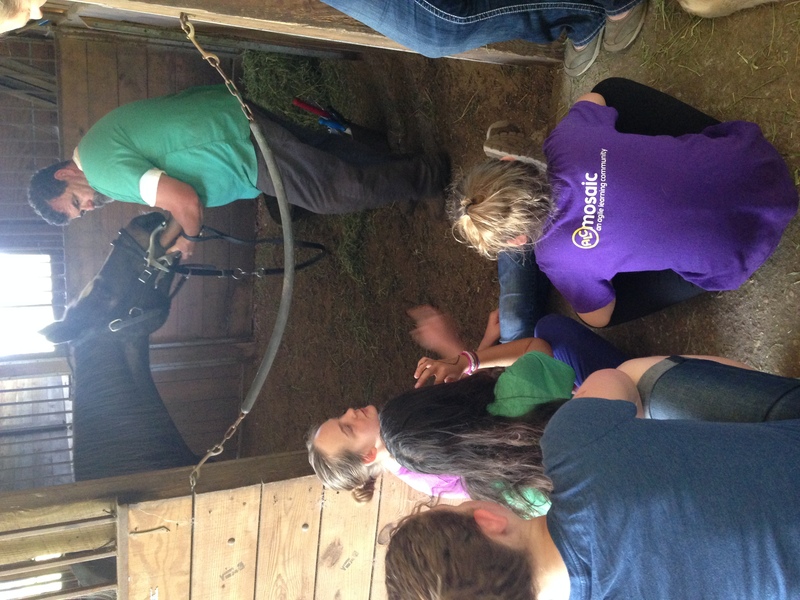 None of us knew what a farrier was, but we learned that this is a person who trims and shoes horses’ hooves. I did not understand the anatomy of a horse’s foot, but I got a lesson in that while asking him questions. 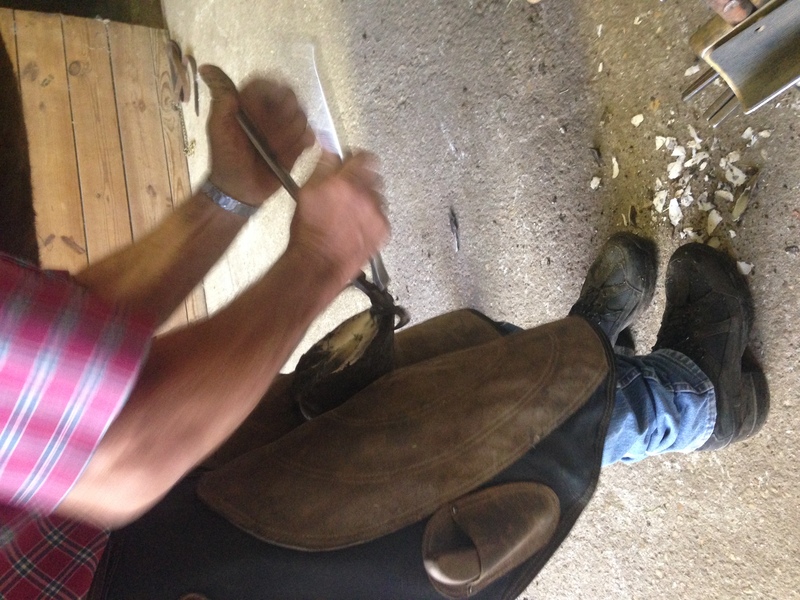 I watched him pry off the metal horseshoes and then nail them back on after he trimmed the nail. I originally thought that the whole bottom of the foot was its hoof that you can trim off (like our nails). It’s really just the outer layer. 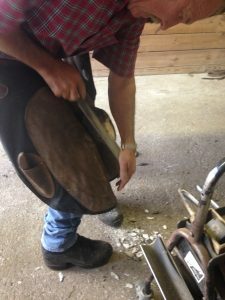 When he nails the horseshoe on, the metal nails have to go right on the outside, and are just milometers away from the base where it could hurt the horse. 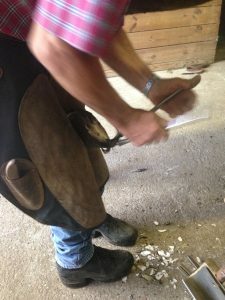 The farrier grunted a lot, and later we learned that this was his way of being even-keel and communicating in a non-reactive manner when the horse was resisting his efforts. 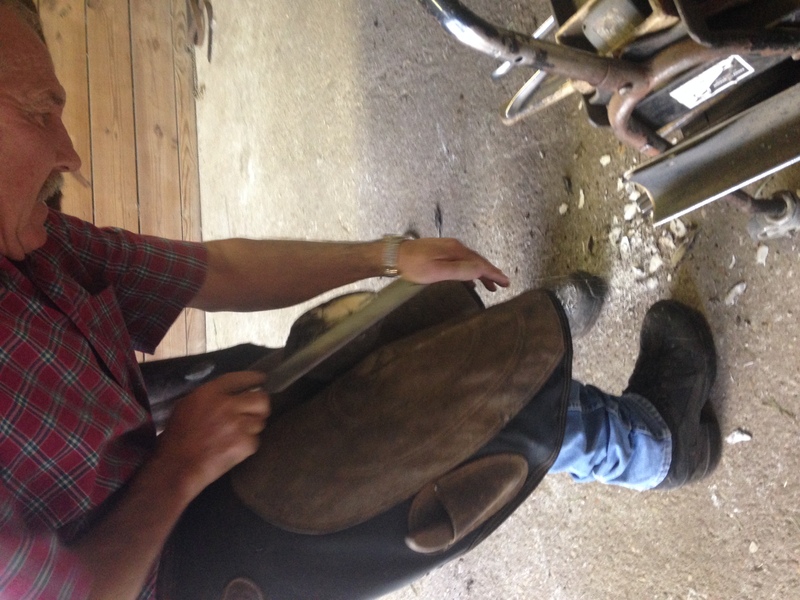 We got to watch him take off each horseshoe, clip the hooves, file them down, and then nail the horse shoe back on. 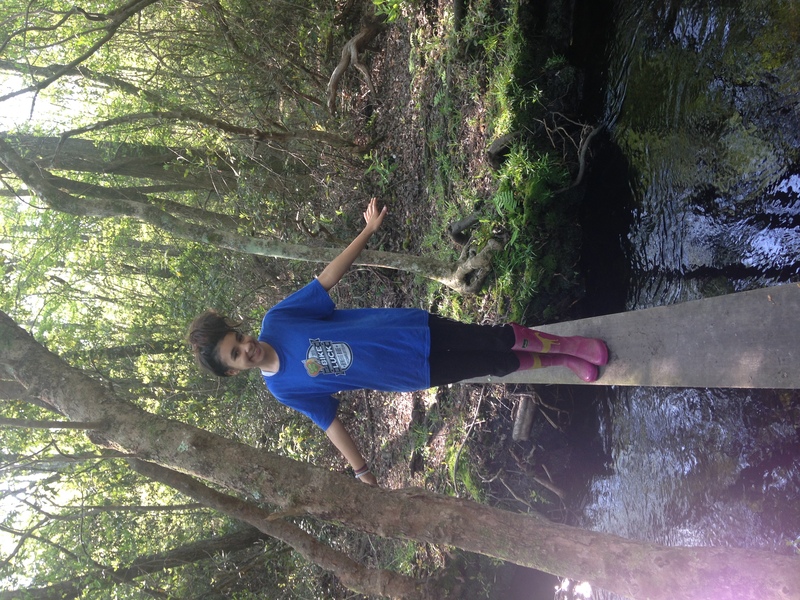 After the farrier visit, @libby, @alonalearning and I went for a fun nature hike. We didn’t really know where we were going, and it felt like an amazing morning adventure. 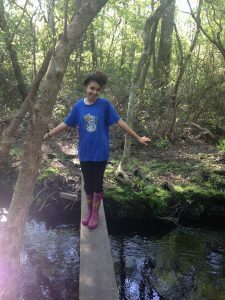 We found a creek and walked along board bridges that went over it. Around 11am the horse dentist arrived. 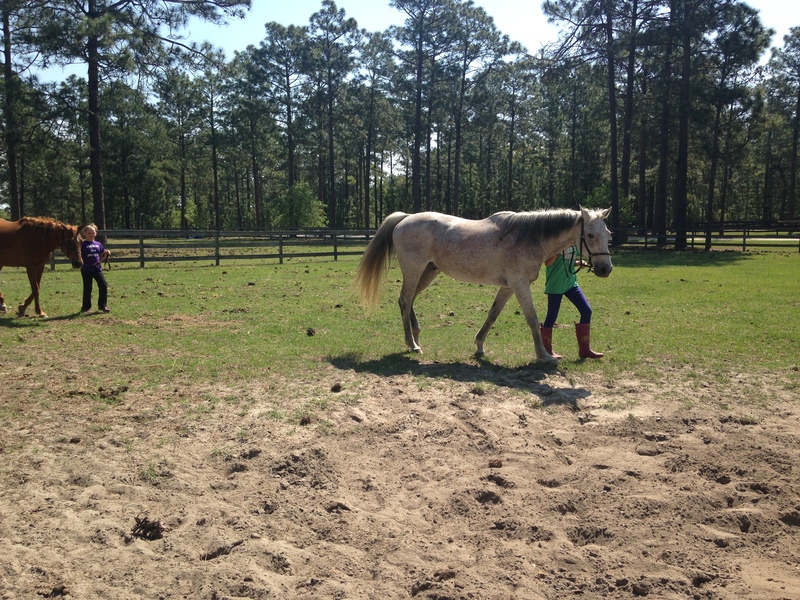 The girls went to get the horses from the paddock. I loved how they were taught how to do this and responsible for helping in this way. The horse dentist was amazing!! He was incredibly friendly, and it was quite evident that he loved his career and enjoyed sharing it with young people. He has two daughters himself and has hosted groups of homeschoolers before. I really appreciated how he took the time to explain everything he was doing and also answered any questions we had. First he sedates the horse. It doesn’t knock them out, but gets them sleepy. Their heads droop down a bit and it only takes about 2 minutes to kick in. 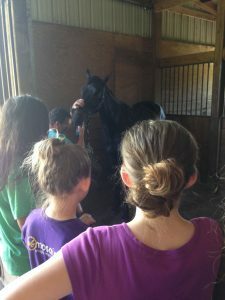 He feels around the horses mouth to check for which teeth need filing and feel for any loose teeth. He files some of the teeth in the front. He puts a metal bit on the horses that keeps their mouth open. 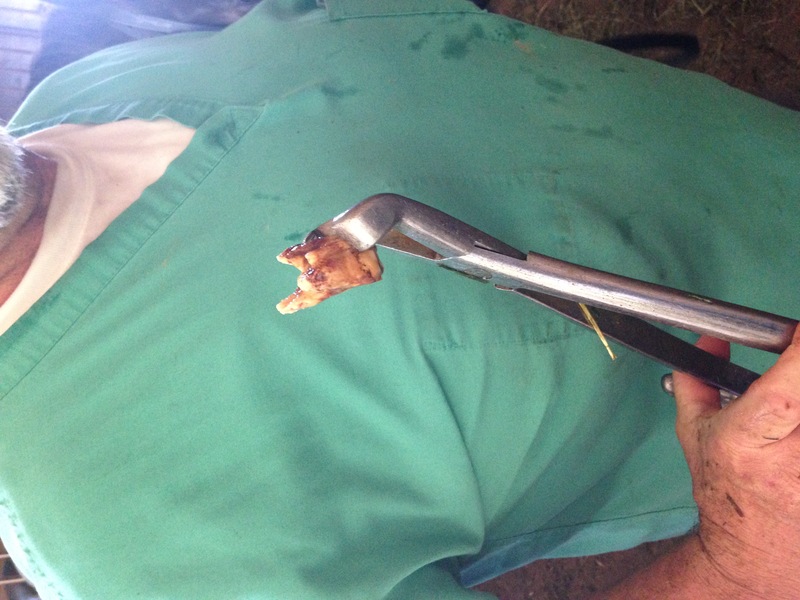 He files down more teeth in the back and pulls any that need pulled (we only saw this once on this visit). Then he rinses their mouth with water and takes the bit off. That’s it! Horses have 6 sets of 6 teeth (36 teeth). There are 6 on the top front, 6 on the top bottom, 6 on the right side bottom, 6 on the left side bottom, 6 on the right top, and 6 on the left top. Geldings (males) have 4 extra canine teeth that they use for defense if they need to. So mares have 36 teeth and geldings have 40. Their mouths are huge. It goes all the way back to their eyes. Their tongues are super long. It curves like a corkscrew in the back to shovel the food down. 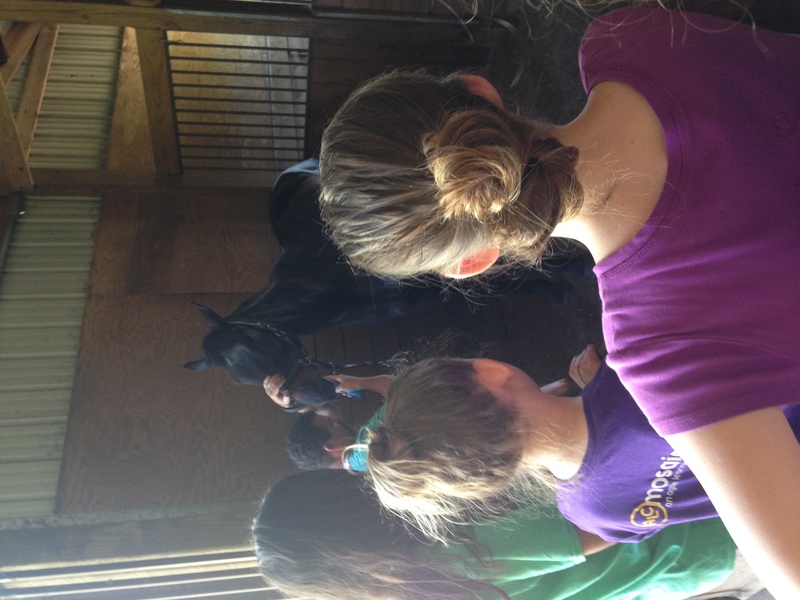 We got to put our hands in the horses mouth to feel their teeth and tongue! Their teeth keep growing like a rabbit. So they need to be filed down. In the wild, horses spend most of their day with their heads down, grazing. The gravity of having their heads down and their chewing all day actually helps them take care of their teeth naturally. 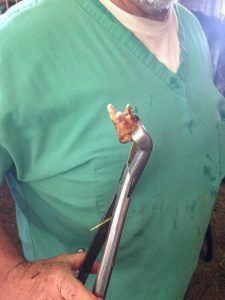 The dentist said that the horses with the worst teeth are the ones kept in stalls all day because they are looking up and out all day and only have their heads down eating when hay is thrown in. These tend to be the very expensive show horses. I was saddened to hear that horses have to live this way. Horse teeth are very big! We saw one get pulled. In the picture below, the root of the tooth should be another inch longer. It was very loose and needed to come out. It was tooth 109 on the top. If it didn’t get pulled it would get infected and could spread to the nasal cavity. 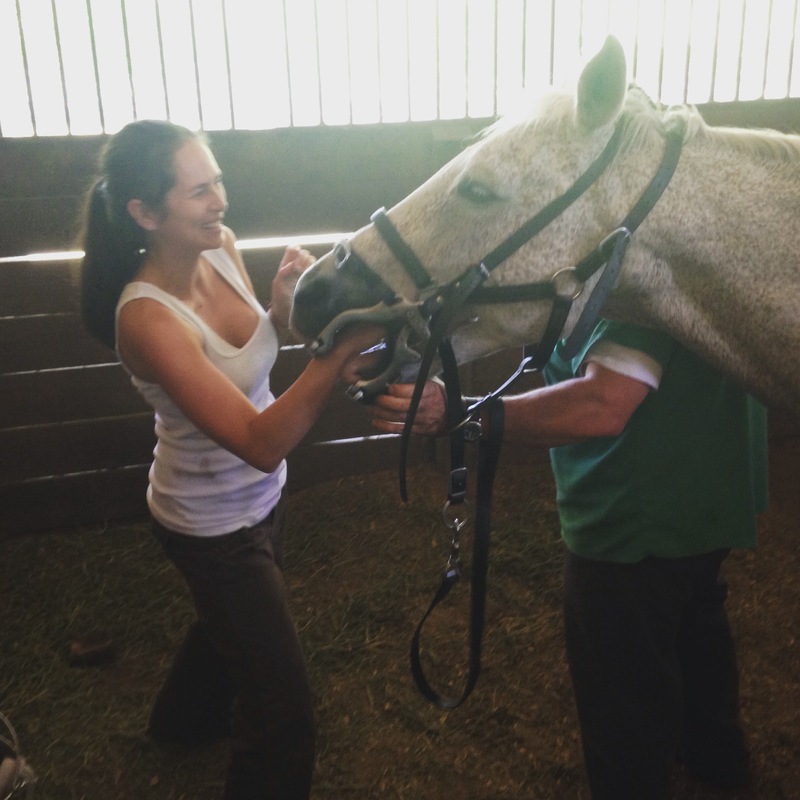 To become a horse dentist, he went to a special trade school for 3 months. Before this he had his 4 year degree in equine science. The special school he went to was a 7 day a week, 12 hour a day intense program with 8 students. 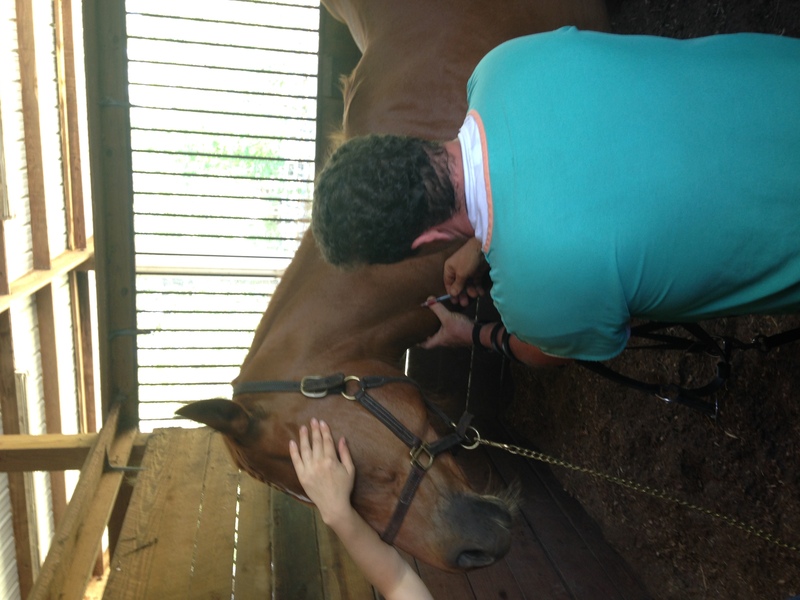 He has been practicing now for 13 years and is the only horse dentist in Camden. So he puts his hands inside the mouths of a horse about $1,400 times a year. The horse visit today cost $75 a horse. That’s $105,000 a year! 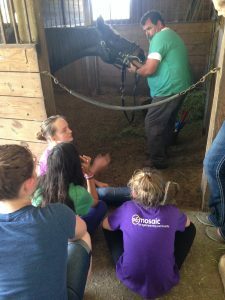 I am so grateful that @alonalearning let parents know she was interested in vet trips! Otherwise I would never have thought to have this experience. I am so grateful that these two men were willing to share their work with us. 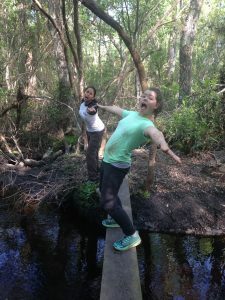 And I’m grateful that I can take kids out on trips often so we can experience unique offerings like this.